Comarco offers a variety of services, both singular and integrated, to leading local and international companies, on a turnkey or stand alone basis. Comarco owns the largest fleet of tugs, AHTS's, OSVs, Work Platforms, Cargo Barges, Flat Top Barges and Utility Vessels in East and Southern Africa. 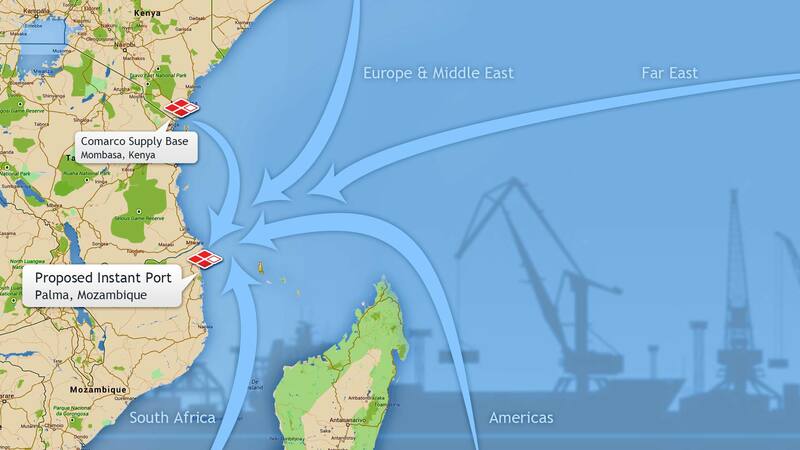 Comarco was established in Mombasa, Kenya before expanding its range of activities and area of operations to working throughout the Indian Ocean and along the entire eastern African Seaboard and interior. Comarco is now the leading marine and specialised contractor, with over forty years experience in the region, owning and operating its own private port, fleet of tugs, barges, supply vessels and specialised equipment for offshore, on shore, and beaching operations. 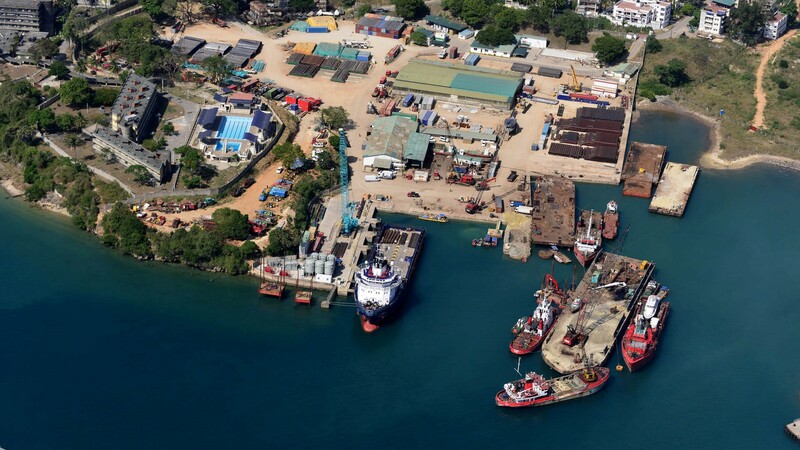 Comarco Base is a privately owned harbour fronting yard, which lies approximately 2 Km from Mombasa Port and 1 km from the city centre, by way of Moi Avenue, Tangana Road and Mikanjuni Road. Access to these roads is via the Southern Gate and over a recently refurbished bridge capable of handling load in excess of 65mt. The Base totals 16.2 acres including over 40,000 m² of storage space, office space and facilities, crawler cranes, a marine engineering workshop and a 24 hour Operations Centre. 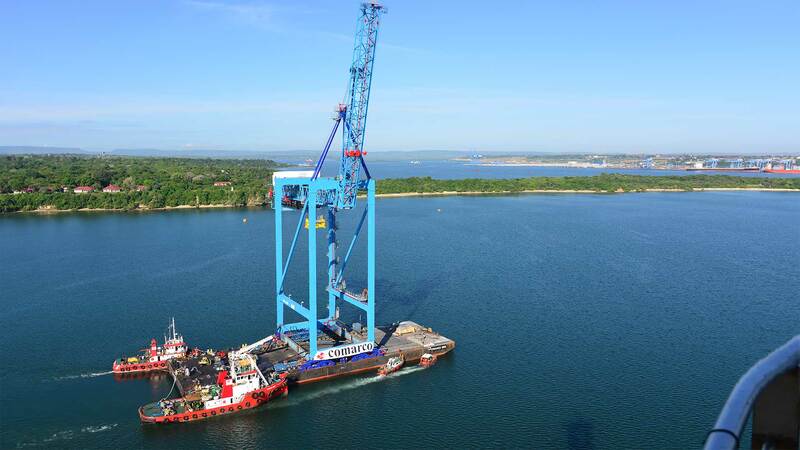 First class turnkey solutions for receiving, handling, discharging and landing bulk, breakbulk (including OOG and heavy lift) and containerised cargoes ashore in the remote region of Palma, in the Cabo Delgado Province, Republic of Mozambique. The Comarco Base, Mombasa, was the venue for the soft launch of the proposed onshore LPG facility to be constructed and operated by Mansa East Africa. The occasion was attended by high level dignitaries from both regional and central government, as well representatives from British High Commission. 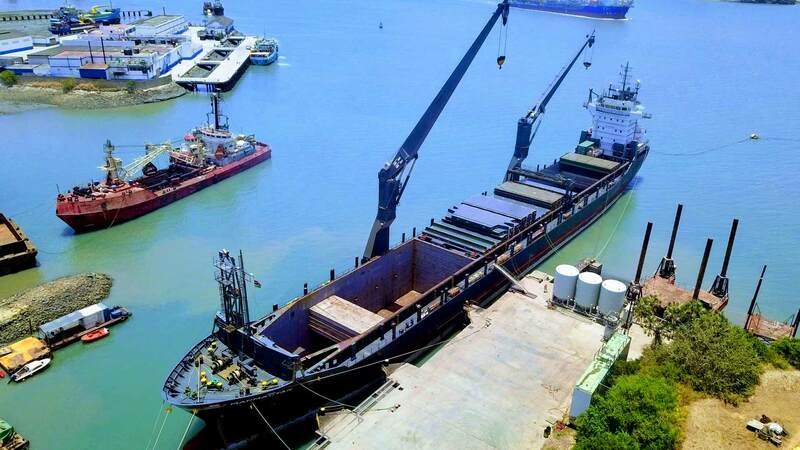 COMARCO has been contracted by EXALO to provide berthing, lifting and shorehandling and stevedoring services to load and secure the equipment on board the vessel. 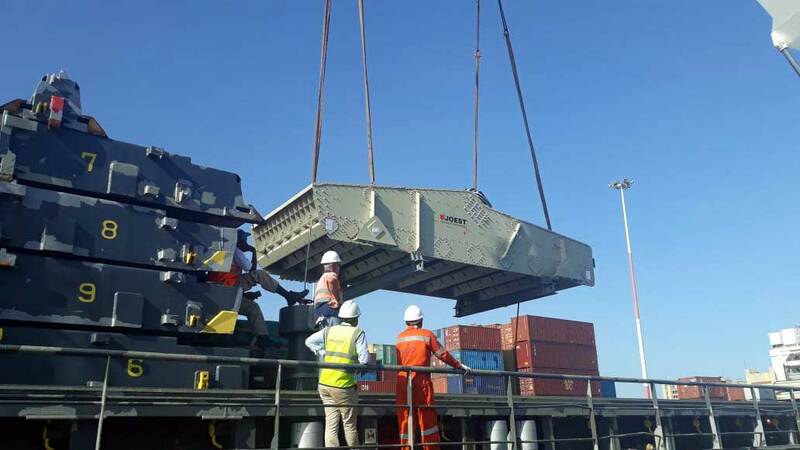 Comarco and Bollore combined forces in February 2019 to deliver three out of gauge, heavy lift items of equipment to the Base Titanium facility in Mombasa, Kenya. The oil field equipment was stored, serviced and repaired at Comarco Supply Base EPZ, loaded across the private wharf and destined to work moving rigs in Kuwait.